Sixpack makes it easy to run A/B tests across multiple web services written in different languages. It includes a beautiful dashboard for viewing test results and choosing winners. 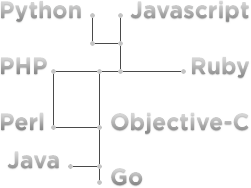 Initiate a test with a few lines from your client library(ies) of choice. Once a user enters a test it will automatically show up in the web UI. 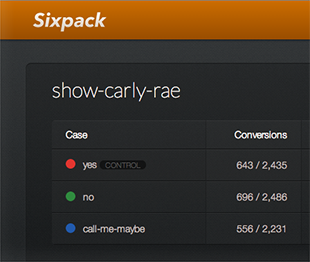 Sixpack has a simple, elegant web UI that presents all experiments together. See results, choose winners, analyze graphs, archive experiments, and more. Copyright © 2015 SeatGeek, Inc.